UO chemist James Hutchison is part of a newly funded federal research project based at Arizona State University that will seek to better understand the impacts of nanomaterials throughout their life cycle – from design, manufacture, use and disposal. The U.S. Environmental Protection Agency earlier this month announced a $5 million grant over four years to support ASU's LCnano Network as part of the Life Cycle of Nanomaterials project. Hutchison is one of five principal investigators on the project, which involves scientists at 10 universities. "We will prepare nanomaterials and nanomaterial-modified polymers and surfaces for evaluation by the team," said Hutchison, the UO's Lokey-Harrington Chair in Chemistry. "We will examine the environmental impacts of the synthesis of those materials to see how the preparative methods can be improved to minimize impacts. Other members of the team will evaluate the hazards of the nanomaterials, track the release of nanomaterials into the environment and develop models that make it possible to predict the impacts of the nanomaterials." The researchers will collaborate with industry and government laboratories to find ways of reducing uncertainties. Paul Westerhoff, associate dean of research at ASU's Ira A. Fulton Schools of Engineering and director of the university's LCnano Network, is project leader. 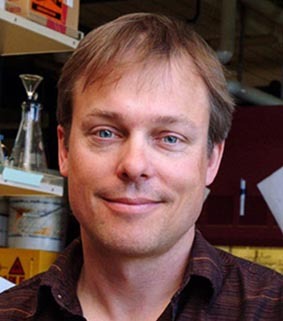 The team also includes Robert Tanguay of Oregon State University and scientists at Johns Hopkins, Duke, Carnegie Mellon, Purdue, Yale, the Colorado School of Mines and the University of Illinois-Chicago. "A major outcome of the project is to develop a framework for existing and future nano-enabled product designs that preserve commercial value while minimizing adverse environmental health and safety effects," Hutchison said. "That framework exemplifies the greener nanotechnology that we have been developing here at the UO for over the last decade." It also builds, he said, off of the foundation developed through Safer Nanomaterials and Nanomanufacturing Initiative of the Oregon Nanoscience and Microtechnologies Institute (ONAMI).